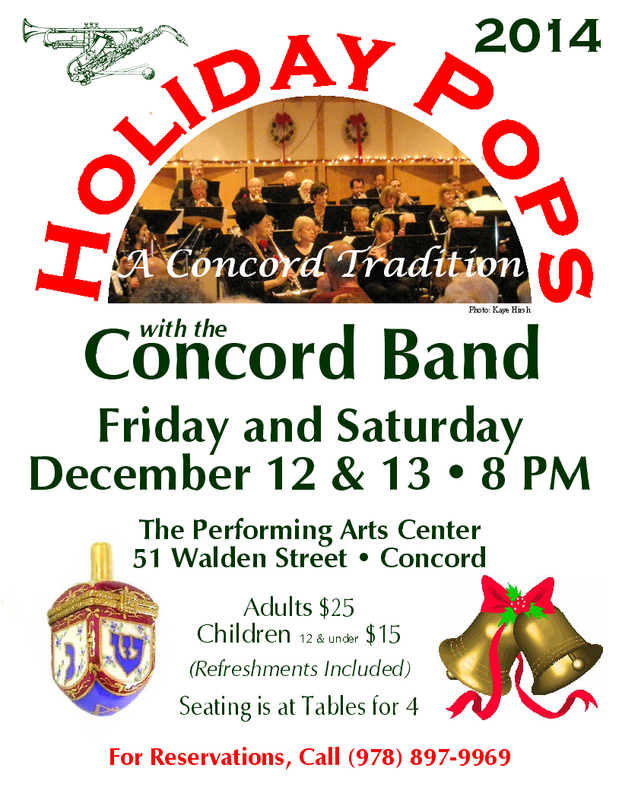 Note:If this concert is snowed out, it will be rescheduled for 2:00 pm on Sunday afternoon, December 14. Join us to celebrate the holidays with both traditional music and other interesting pieces. The Harvard Pro Musica Chamber Singers will be joining us as well. 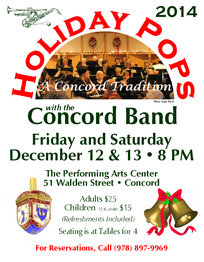 Send a check in the amount of $25 per ticket ($15 for children 12 and under), made out to “The Concord Band”, to the address at the top of the page. Be sure to specify which night, include your phone number for confirmation, and enclose an SASE if you would like the tickets mailed to you rather than picking them up at the concert. On line: Visit MKtix.com and click on the “Buy Tickets” link for the date that you want.